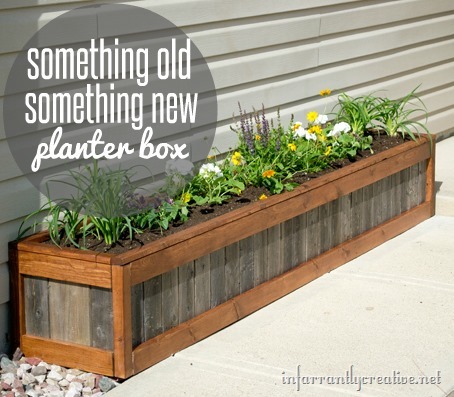 I am so absolutely thrilled with how this DIY planter box turned out. I finally used all the fence posts that I scavenged from my neighbors trash a couple of year’s ago….sniff. I love the mix of old weathered wood with fresh rich stained tones. This planter is huge coming in at 7 1/2 feet long. It makes a huge impact as you walk up to my door and I love seeing some color on my porch area.